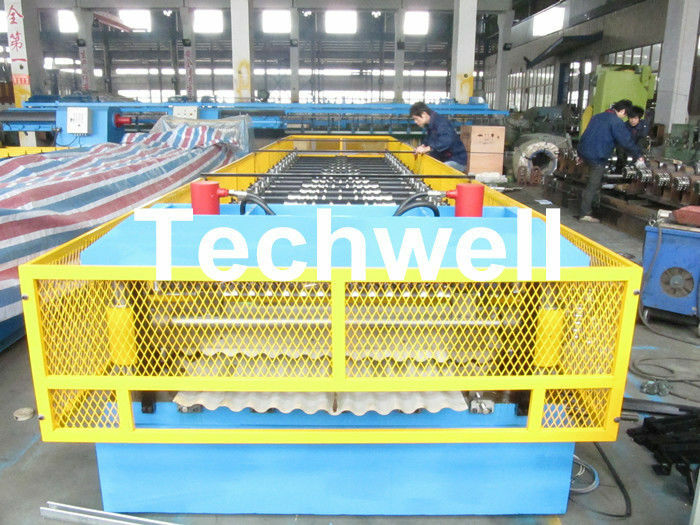 Wuxi TECHWELL provide good quality roll forming machines, till now, the machines have been working 3 years, no any break, we are very satisfied. 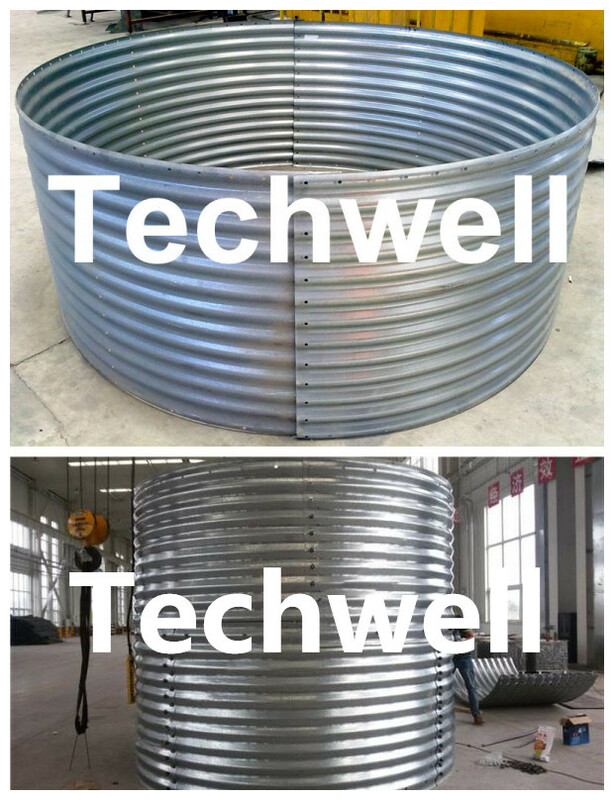 WUXI TECHWELL SUPPLY HIGH QUALITY MACHINES WITH GOOD AFTER SERVICE AND REASONABLE PRICE, WHO ARE A RELIABLE MANUFACTURER IN CHINA. 1). Forming machine: making the material bend and initial machine-shaping, meanwhile, it will bend the material to the silo required radius of curvature. 3). Load bearing support: Given the right diameter of silo. Lifting of the steel silo enclose the top of load bearing support rollers, it can support the spiral rising silo. 4). Decoiler: Moving steel coils that put on the decoiler, making steel coils can into forming machine successfully. 5). Join frame: Joining the load bearing support, locking the required diameter of soil, making the load bearing support stable working. 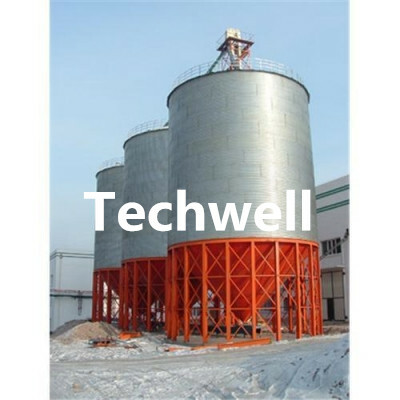 One single-silo capacity is up to 17,000 tons with comprehensive configurations to meet customers’ different requirements. Complete advanced processing equipment and technology are introduced from USA to effectively ensure working accuracy and reduce damage to galvanized layer. 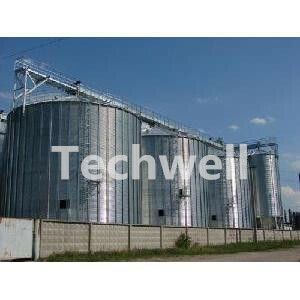 External installable stiffeners contribute to less grain residues on silo walls. With standardized and modularized production, components and parts have a high standardization and good interchangeability, thus can be partially replaced or completely transferred. Q: Do you have after sales support? A: Yes, we are happy to give advice and we also have skilled technicians available. Q: Once we've bought a machine from you, are you able to supply us with material? A: We can assist you in finding the appropriate materials to suit your machine. Q: Do you sell only standard machines? 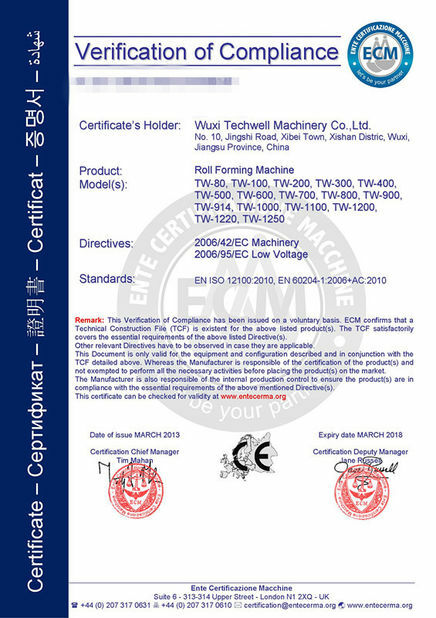 A: No, most of our machines are built according to customers specifications, using top brand name components. Q: What size decoiler can you supply us with? A: From 5-ton decoiler to a 25-ton motorised hydraulic decoiler. Q: Do you have a warranty on your machines? A: One year warranty excluding electrical components. Q: Do you have instruction manuals? 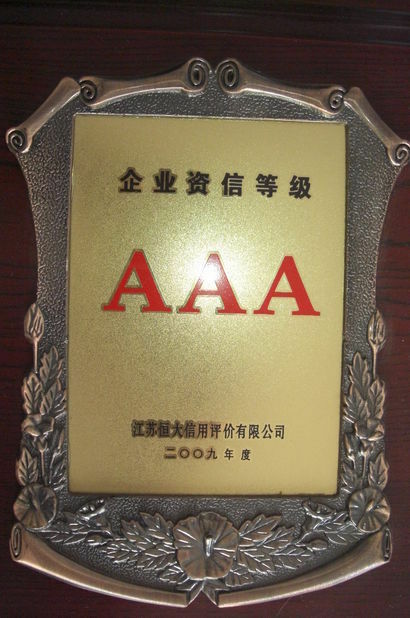 A: We provide you with instruction manuals, electricity layouts, civil requirements, and machine drawings. Q: Once a machine arrives at our factory what happens then? A: We will send you a technician or engineer that will commission and install your machine, with training for your staff if required at a separate fee. Q: What do I need to offload my machine from the container? A: You are not responsible for the offloading of your machinery, and it is recommended that you use a reputable rigging company. Q: My current machine rollers need to be replaced. Would you be able to assist me? A: Yes. Send us your profile and specifications then we will manufacture the rollers for you. Q: Do we receive any updates while machine is in the manufacturing process? A: Yes.Regular updates on progress will be sent to you. China Good Quality Cold Roll Forming Machine Supplier. Copyright © 2012 - 2019 cold-rollformingmachine.com. All Rights Reserved.